Hey There – If you’re looking to play some Texas Hold’em, just learn the ropes, or both, then you’ve come to the right place. At MyPokerBasics.com, we have listings of the best worldwide poker sites coupled with the most extensive collection of poker game rules on the net. So hang around for a while, learn a game or two, and we guarantee that you’ll be more than prepared to play poker in 2018. The most popular variant of poker is Texas Hold’em so we recommend you start there. Once you have mastered Holdem, Omaha will be your best bet because you can leverage some intrinsic similarities of the games. BetOnline (established in 1991) has a long-standing reputation as one of the best “all-in-one” gambling sites . It wasn’t until recently that they opened a poker room to supplement their casino and sports betting offerings. This proved to be the “killer app” for their brand, and the response has simply been phenomenal. If you’re new to the Texas Hold’em scene, you’ll find a wealth of beginner related information at MyPokerBasics with supporting documents and videos. Our mission statement is to deliver a framework for learning Texas Holdem, while exposing all the intricacies and nuances between poker style variations. 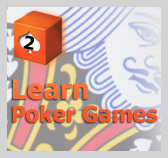 For a holistic view of our beginner content offerings, check out this section titled: Learn New Poker Games. If you happen to be a veteran player instead, maybe disgruntled in light of the US “Black Friday” events, we should also cater to your needs. We have a thick amount of content regarding alternative US poker sites, poker deposit workarounds, and other relevant information that you won’t find elsewhere. We show you where to play US Texas Holdem For Money. If you’re looking to learn poker fast, then view our five minute poker hand rankings video, and download the MyPokerBasics.com “Play Poker” PDF. Alternatively, refer to our poker cheat sheet. If you’re having difficulty finding out what beats what, then check out this page about comparing poker hands. We always suggest playing for fun as the fastest way to learn. 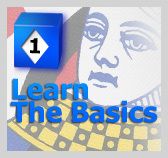 To this end, MyPokerBasics.com offers an end to end guide showing you how to play poker with friends. 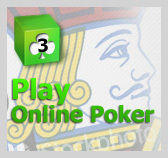 We teach you how to face off against your buddies in one on one format for fake money. Once you’ve mastered the basics, you can opt to play with real money by using one of the bonuses we list on our site. 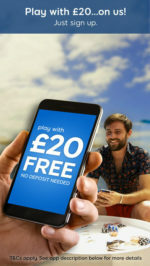 This includes a $500 partypoker.com bonus code. With the number of different platforms available today, and social networks offering their own products, such as Zynga and Facebook, playing cards with friends has never been easier. Poker went through peaks and valleys since the Chris Moneymaker boom of 2003. Poker’s popularity was at an all time high as folks realized the Average Joe had a chance to win life changing money from Texas Hold’em. The movie Rounders with Matt Damon crystallized this sentiment and was a precursor to the poker wave that was about to ensue. Fast forward to 2006, and the UIGEA was attached to the Safe Port Act, designed to impair transactions between financial institutions and American casinos. However, the UIGEA did not make it illegal to play online poker, and did not target the poker players. As such, Americans simply had to find deposit workarounds. The gold standard for deposits is currently “Instant eChecks“, a method which is relatively new, yet a cut above in effectiveness from what we’ve seen prior to the UIEGA. Expect no-denial / block free poker when making such deposits. The events of April 15th 2011, commonly referred to as “Black Friday” have had a big impact in the United States. On that date, Full Tilt Poker was shutdown by the USA Government, the Pokerstars domain was seized, and the Cereus Poker Network was banned from accepting new US Poker Players. Allegations from the FBI included violation of the UIEGA, bank and wire fraud. The ripple effect in the non-US market was positive however. More countries saw the need for having a clear cut legislation in place, that would allow for safer and more trusted poker sites. The other advantage of regulation is the taxable revenue that can be re-injected in the economy. This legal poker law site provides a great overview of poker laws in the United States. Since the Merge Network (Lock Poker) is currently on hiatus from the US market to get their payment processors ramped up for re-entry, the only US facing brand similar to Pokerstars is BetOnline.com.